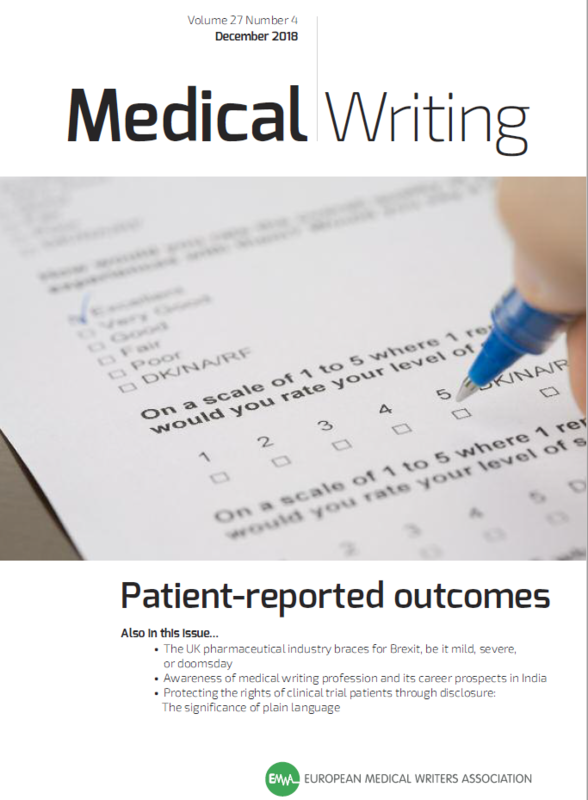 By choice or by chance? 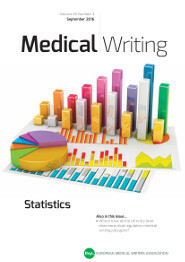 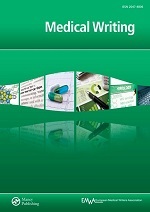 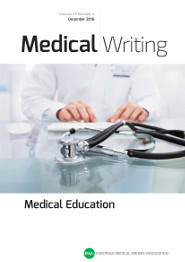 Medical writing work is very diverse and so are the careers of people in this field. 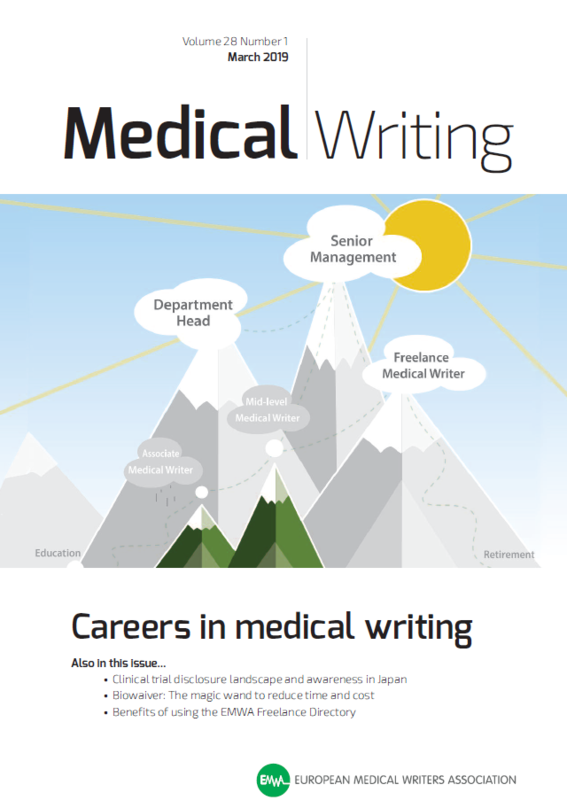 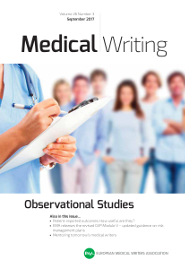 This issue will focus on stories about medical writing careers. 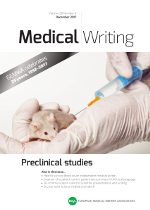 This issue will introduce readers to generics and biosimilars; provide and discuss their key legal and regulatory aspects in the US and Europe; and discuss their economics and how they affect pharmaceutical companies. 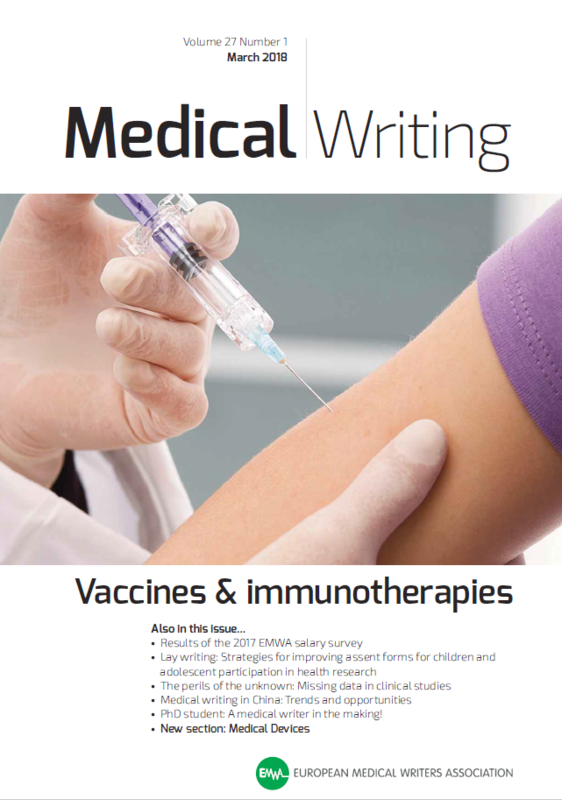 The deadline for feature articles is March 10, 2019. 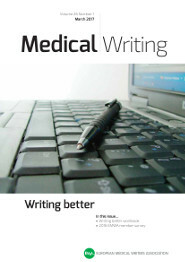 The medical writing industry is growing and evolving at a fast pace, and we need to keep up with the trends. 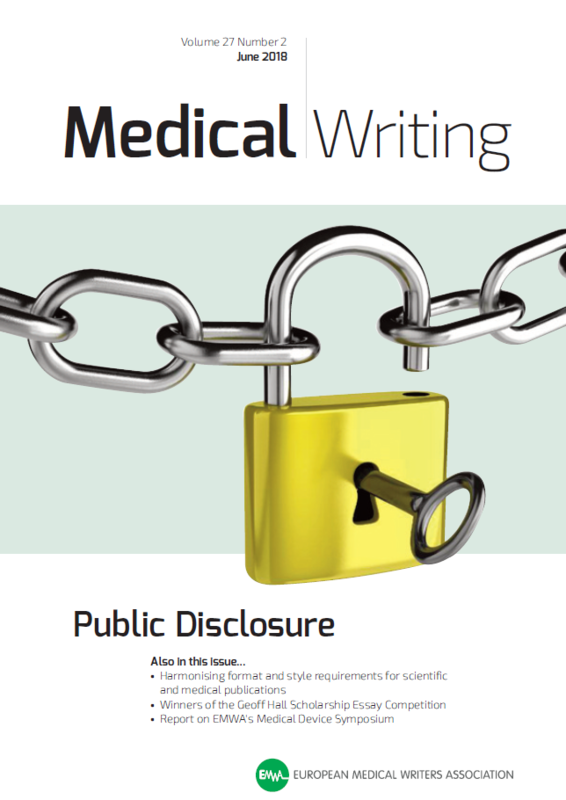 From public disclosure to global medical writing, find everything you need to know in this issue. 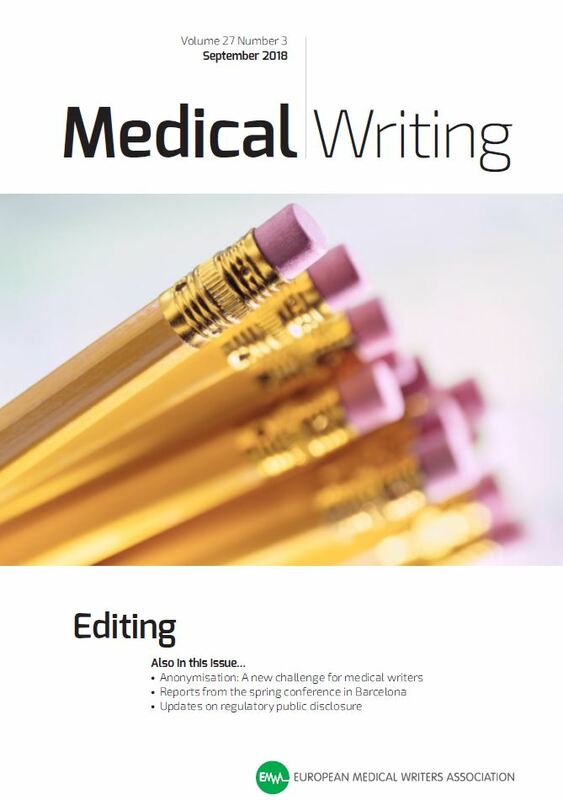 The deadline for feature articles is June 10, 2019. 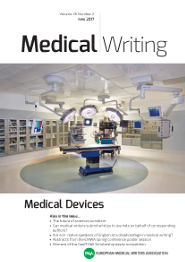 Technological innovation is overtaking all industries, and medicine is no exception. 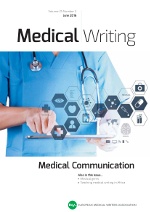 Artificial intelligence, digital health biohacking, and health optimisation are growing trends, and as medical writers, we must understand and communicate these advances. 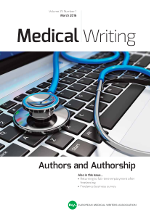 The deadline for feature articles is September 9, 2019.